1947 and Gregor Reinhardt has been hired back onto Berlin's civilian police force. The city is divided among the victorious allied powers, tensions are growing, and the police are riven by internal rivalries as factions within it jockey for power and influence with Berlin's new masters. When a man is found slain in a broken-down tenement, Reinhardt embarks on a gruesome investigation. It seems a serial killer is on the loose, and matters only escalate when it's discovered that one of the victims was the brother of a Nazi scientist. 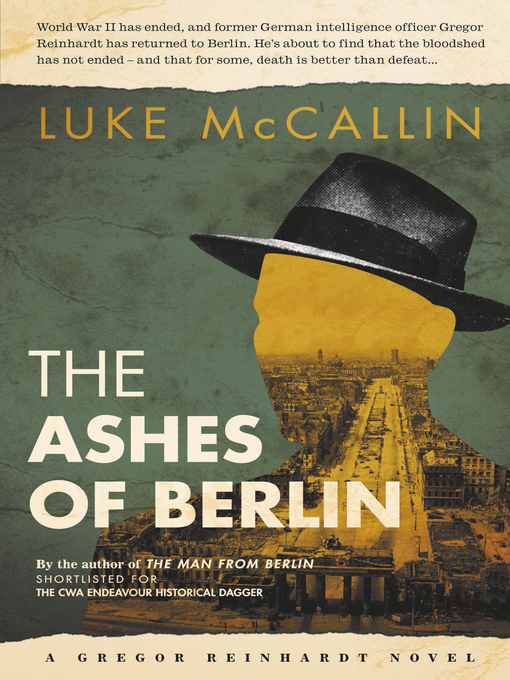 The Ashes of Berlin is published in the US under the title The Divided City.